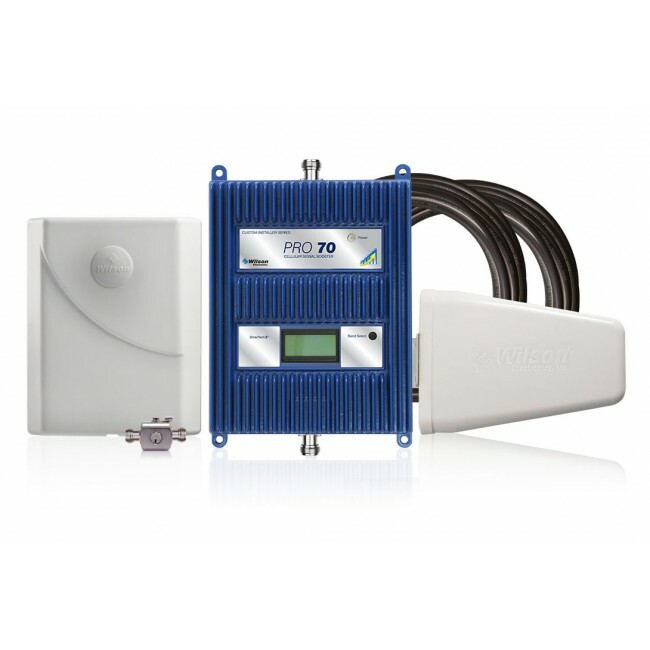 With the March 1st deadline drawing near, and only a handful of signal boosters actually having made it through the FCC certification process, the FCC has decided to extend the deadline another 60 days to April 30, 2014. This will allow more time for the major cell phone signal booster manufacturers to have their products certified and ensure that there isn't a lack of options for consumers due to setbacks in the certification process. The FCC stated that the extended deadline was due to "unexpected complexities in the rules coupled with the government shutdown led to delays in the finalization of comprehensive test procedures for Consumer Signal Boosters". While the extended deadline gives manufacturers some breathing room to get their products certified, there have already been some signal boosters that have officially passed the certification process and are available now for preorder: The Wilson 460101 DT4G and the Wilson 461104 AG Pro Quint. Both are 5-band signal boosters, which means that they boost all of the networks on all of the major carriers, and will be shipping within the next couple of weeks. By this Order the Wireless Telecommunications Bureau (Bureau) extends until April 30, 2014, the deadline by which all Consumer Signal Boosters marketed, distributed or sold in the United States must comply with the Commission’s new technical standards for Consumer Signal Boosters. Our action is warranted in light of unforeseen delays in the development of equipment testing procedures for Consumer Signal Boosters. This action will provide the Commission with additional time to certify Consumer Signal Boosters under our new rules and will provide consumers with additional choices among compliant Consumer Signal Boosters. Regardless of the Bureau’s extension, however, consumers may only operate legacy signal boosters if they (1) have the consent of their serving provider, and (2) register their booster with that provider. In addition, wireless providers may shut down any signal booster causing harmful interference to their operations or network performance. Report and Order. On February 20, 2013, the Commission adopted a new regulatory framework to allow consumers to realize the benefits of using signal boosters while preventing, controlling, and, if necessary, resolving interference to wireless networks. In the Report and Order, the Commission adopted new technical requirements for signal boosters and established a two-step transition process by which it would: (1) on the release date of the Report and Order, cease accepting applications for equipment certification of signal boosters that do not comply with the new rules and cease certifying devices that do not comply with the new rules; and (2) on or after March 1, 2014, require all signal boosters marketed, distributed or sold in the United States to meet the new rules. ClearRF Request for Waiver. On December 9, 2013, ClearRF requested a waiver of Section 20.21(g) of the Commission’s rules to allow it to continue to sell its legacy signal booster past the March 1, 2014, sale and marketing deadline, at least until August 31, 2014, and preferably until December 31, 2014. ClearRF provides four arguments in support of its waiver request. First, ClearRF argues that a waiver is warranted because the ClearRF Booster already contains some of the safeguards required by the new signal booster rules, specifically anti-oscillation and automatic gain control features. 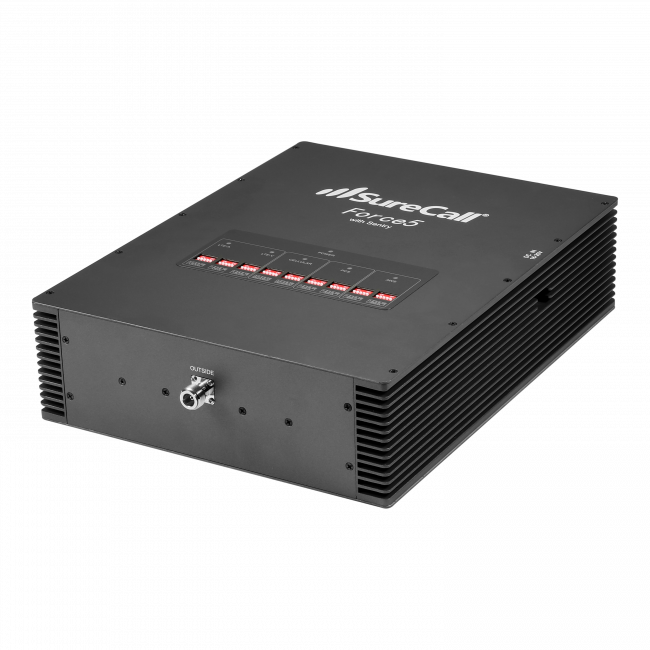 ClearRF maintains that these features will prevent network interference and unnecessary noise. Second, ClearRF argues that it was diligent in working with CKC, a test lab in California, to test its new signal booster under the new Part 20 requirements. However, ClearRF maintains that it experienced substantial delays during the testing process because the test procedures continued to evolve and because the rules were new and many of the testing procedures unfamiliar. In addition, ClearRF states that a misinterpretation of the test procedures by an engineer at CKC created further delays, and its new signal booster did not pass the test procedures until December 13, 2013. ClearRF subsequently submitted its equipment certification application on January 8, 2014. Third, ClearRF argues that the two-week government shutdown in October 2013, created additional delays in the interpretation of the test procedures under the new rules. Specifically, ClearRF states that FCC staff was unavailable to attend meetings, answer questions and provide guidance on the test procedures during the shutdown. Fourth, ClearRF notes that once it receives equipment certification, it will take up to 7 additional months for “subcomponent long lead time parts” to be ordered, manufacturing production runs to be undertaken, and devices to be restocked at ClearRF and its resellers. Responsive Pleadings. A number of parties filed comments on the ClearRF Waiver Request. Cellphone-Mate, Inc. (Cellphone-Mate) supports the waiver request and agrees with ClearRF that substantial, unavoidable delays occurred in the development of test procedures for Consumer Signal Boosters. As Cellphone-Mate details, following the release of the Report and Order, the Telecommunications Certification Body Council began developing laboratory test procedures in order to test signal boosters for compliance with the newly adopted Section 20.21 requirements. Cellphone-Mate states that an initial draft was released in April 2013, and final draft test procedures were released in August 2013. Cellphone-Mate states that in October 2013, OET issued additional guidance on the compliance testing and application process to assist test labs, Telecommunications Certification Bodies (TCBs) and manufacturers. In addition to delays in the finalization of test procedures, Cellphone-Mate maintains that manufacturers have experienced additional delays due to a lack of test labs which are familiar with the new test procedures. Cellphone-Mate asks the Commission to extend the sale and marketing deadline by six to ten months industry-wide (Cellphone-Mate Request). Cellphone-Mate maintains that all signal booster manufacturers faced the same “necessarily complex and lengthy standards development process, exacerbated by the government shutdown” which resulted in insufficient time for most, if not all, manufacturers to produce and distribute a significant range of new devices. Cellphone-Mate also argues that small signal booster manufacturers, such as ClearRF and Cellphone-Mate, cannot afford to undertake the financial risk associated with manufacturing large quantities of inventory prior to certification and must delay production until the certification process is complete. Accordingly, Cellphone-Mate argues that a six- to ten-month extension of the sale and marketing deadline is warranted for the entire signal booster industry. Nextivity, Inc. (Nextivity) opposes an industry-wide extension of the March 1, 2014, sale and marketing deadline. Nextivity argues that the new rules were the result of two years of government and industry collaboration and have been known for almost one year. Nextivity maintains that parties have had ample time to prepare their products for compliance with the new rules. However, given the number of products awaiting equipment certification, Nextivity asks the Commission to commit to processing all Consumer Signal Booster certification requests within four weeks of receipt in order to provide manufacturers with sufficient time make devices available for sale. In the alternative, Nextivity asks that the Commission “provide a more specific waiver to the March 1st date for products that have already been certified under the old FCC rules and which are now being re-submitted to the Commission for approval by January 31, 2014” (Nextivity Request). CTIA – The Wireless Association (CTIA) and Verizon Wireless (Verizon) (collectively “Opposing Commenters”) oppose the ClearRF Waiver Request. The Opposing Commenters state that ClearRF had ample time to develop consumer signal boosters that meet the new rules. They argue that ClearRF failed to justify its request given that other manufacturers that faced the same timing issues have indicated their intent and ability to meet the Commission’s March 1, 2014, deadline. The Opposing Commenters also note that the Commission provided a longer transition period than it initially proposed in the Notice of Proposed Rulemaking – over one year, instead of six months – because it recognized the timing challenges associated with developing test procedures and reviewing certification applications. CTIA further argues that because ClearRF’s company-specific business decisions impeded its ability to comply with the sale and marketing deadline, it does not warrant grant of a waiver. Moreover, CTIA argues that existing ClearRF safeguards are insufficient to protect wireless networks from interference. CTIA also opposes Cellphone-Mate’s Request to extend relief to the entire signal booster industry. CTIA argues that many of the same rationales for denying the ClearRF Waiver Request similarly support denial of the Cellphone-Mate Request. Specifically, CTIA argues that the Commission’s “generous” more than one-year transition period, the potential for interference from legacy boosters and Cellphone-Mate’s contradictory statements about its ability to meet the sale and marketing deadline fail to justify the request for waiver. The Bureau finds that good cause exists to grant a limited, 60-day waiver of the Consumer Signal Booster sale and marketing deadline. In the Report and Order, the Commission sought to “strike an appropriate balance between the need to transition quickly to boosters that meet the new design parameters and allowing manufacturers and booster sales outlets a reasonable period of time to comply with the new rules.” To achieve this goal, the Commission adopted a two-step transition process to “encourage manufactures to quickly transition to devices that meet our new technical specifications and labeling requirements for signal boosters.” Specifically, as of February 20, 2013, the Commission ceased accepting applications for equipment certification of Consumer Signal Boosters that do not comply with the new rules and ceased certification of devices that do not comply with the new rules. Further, on or after March 1, 2014, all Consumer Signal Boosters sold and marketed in the United States must meet the new requirements. The Commission believed that this was a reasonable timeframe to allow manufacturers to develop and the Commission to certify devices that meet the new rules and would result in an orderly transition to better signal boosters. In adopting this two-step process, the Commission recognized that the new rules included new types of technical requirements for which there was no precedent and that manufacturers would need time to design boosters to meet the new technical rules. The Commission noted that it would take time to develop appropriate test procedures and review and process initial applications for equipment certification. At that time, the Commission estimated that the test procedure development process would be completed by late fall 2013. The FCC Lab initiated a collaborative process with the ANSI C63 standards task group to develop the test procedures that included members of the TCB Council, test labs, equipment manufacturers and representatives of the wireless industry. Given the complexity of the rules, in-depth discussions revealed significant technical and policy issues, which created challenges in developing test procedures that would ensure compliance. While all of the parties acted diligently and in good faith, the test procedures were not finalized and published until January 2014. The Bureau believes that the open, consensus-driven process, while more time-consuming than anticipated, resulted in more robust, comprehensive test procedures that will facilitate compliance with the Commission’s rules. The Bureau acknowledges that unexpected complexities in the rules coupled with the government shutdown led to delays in the finalization of comprehensive test procedures for Consumer Signal Boosters. Further, the Bureau recognizes that the lack of final test procedures affected all signal booster manufacturers. Until the test procedures were complete, manufacturers were unable to finalize and submit equipment certification applications. 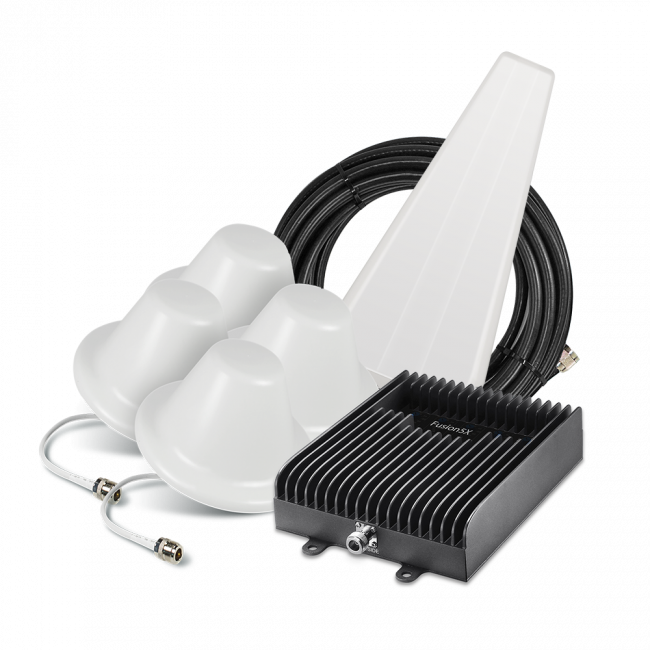 Moreover, the Commission only recently began allowing TCBs to issue equipment certification grants under the new signal booster rules, with the first grants issued in January 2014. 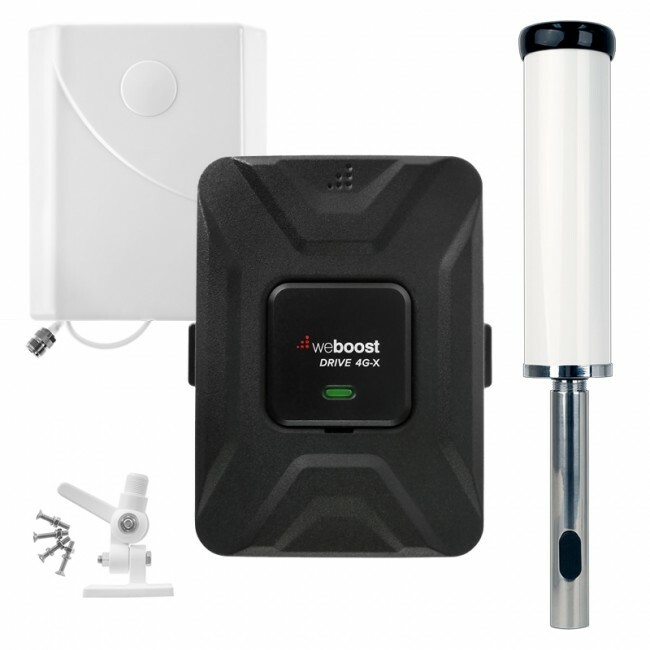 We note that multiple signal booster manufacturers recently submitted applications for certification of boosters either to TCBs or the Commission. We find that a short extension of 60 days, until April 30, 2014, is warranted to allow for adequate review and testing of these devices and to allow others to complete testing of their devices and apply for certification. The Commission staff is committed to working expeditiously with TCBs to review and process these applications and the Bureau expects that some manufacturers will have compliant products in the market well in advance of that date. The Bureau is not persuaded that an additional six to ten months is warranted, particularly where multiple manufacturers have stated their intent and readiness to sell compliant signal boosters in the near future. Moreover, a brief, 60-day extension will limit the number of additional legacy boosters placed into operation. The Bureau denies Nextivity’s request to impose a four-week processing requirement for equipment certification applications. Such a requirement would limit FCC and TCB flexibility to fully evaluate new signal boosters’ compliance with a complex and multi-layered set of new rules and, in any event, is unnecessary in light of the extension granted herein. Nextivity’s alternate request that the Bureau waive the sale and marketing deadline for products that have already been certified under the old FCC rules and which are now being re-submitted to the Commission for approval under the new rules is granted in so far as the Bureau grants an industry-wide 60-day extension of the sale and marketing deadline; in all other respects it is denied. Accordingly, the Bureau waives the March 1, 2014, sale and marketing deadline in Section 20.21(g) of our rules and extends for 60 days, until April 30, 2014, the deadline by which all Consumer Signal Boosters marketed, distributed or sold in the United States must comply with Section 20.21 of the Commission’s rules. Accordingly, IT IS ORDERED that, pursuant to the authority contained in sections 4(i) of the Communications Act of 1934, as amended, 47 U.S.C. § 154(i), and sections 0.131, 0.331 and 1.3 of the Commission’s Rules, 47 C.F.R. §§ 0.131, 0.331 and 1.3, the requirements of 47 C.F.R. § 20.21(g) are WAIVED to the extent and for the time period specified herein. IT IS FURTHER ORDERED that the ClearRF Waiver Request IS GRANTED to the extent discussed above and IS OTHERWISE DENIED. IT IS FURTHER ORDERED that the Cellphone-Mate Request IS GRANTED to the extent discussed above and IS OTHERWISE DENIED. IT IS FURTHER ORDERED that the Nextivity Request IS GRANTED to the extent discussed above and IS OTHERWISE DENIED.